This morning, Carol said that awards don’t matter to her, because she’d gotten so many in the past. Her actual work with people matters more to her. 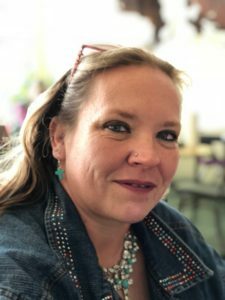 This came up because we were talking about Lee’s Chamber of Commerce award, and she brought up that she’d just been named a Zillo Five-Star Premier Agent, based on feedback from her past real estate clients. 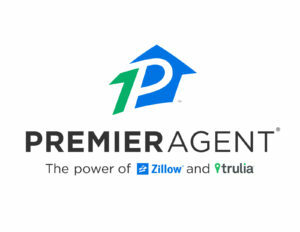 This put her in the top 9% of agents in the US. We were happy to hear this, and wanted to share it with our potential buyers, investors, and lenders. Of course, Carol’s right that we are internally motivated to do good work and aren’t seeking recognition to make us feel validated. However, when there are a lot of folks who buy houses out there, it doesn’t hurt to shre that members of our company have been recognized by others for their hard work. Lee and Marie Christopher, one of our most frequent blog commenters, with their awards. You can see why they are friends; they both love their hats. 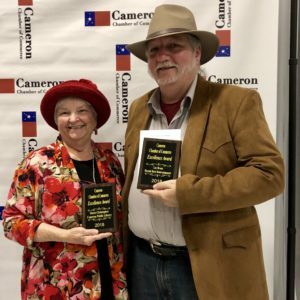 We were pleasantly surprised last night when the Cameron Chamber of Commerce started giving out awards of excellence, and suddenly they called out Lee’s name! We’d just been clapping our heads off for our friend Marie Christopher, who was singled out for her work at the library, so it was all exciting! 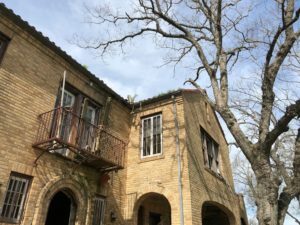 Can We Save This Old House? You can see things growing in the gutters. But that balcony must have been so cool! Now that we are getting known as people who are interested in fixing up historically significant properties, we are occasionally called in to support other renovators’ projects. That’s what happened last Friday, when a colleague asked our team to come take a look at a former mansion in Cameron that her family purchased not too long ago. We’re really interested in looking at local properties, to get ideas for the Gillis house, so of course Lee agreed to take a look. We brought along Melanie Reed, from the Chamber of Commerce in her role as a member of the redevelopment committee in Cameron (and she’d also been in the house during its glory years). The house looks really cool from a distance, like a haunted house (which it actually served as for a few years). It definitely had fallen on hard times with its previous reclusive occupant, who was repeatedly pestered by vandals. 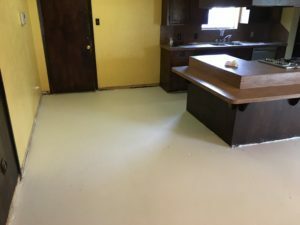 Thus, most windows in the house are gone, and there have been people more recently going through searching for copper wiring and generally making a mess. The current owners have done a lot of work on the property, getting rid of vegetation that was hiding the house, and making the grounds safe. The reason we were brought in to consult was to give the current owners feedback on what can be done with the house itself. They were wondering if the house could be saved or not, and wanted an idea of how much it would cost to renovate. Yesterday, Mandi got a call from our friend Jonathan at the Milam Community Theater. He was asking if we happened to have any old cabinets just lying around, because they needed some for a set in an upcoming production. 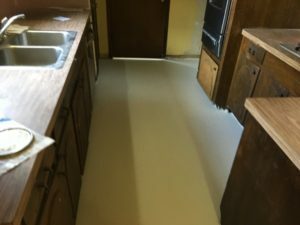 We didn’t have any (other than the ones that are supposed to go in Mandy’s kitchen eventually (once we can get to the storage container–it’s muddy). But then, Lee said, hey, we are going to take the cabinets out of the Washington house and replace them! So, we told Jonathan that if they would come and get them, they are welcome to them. It saves us on the demo cost, and still we are helping out the community. It’s a win for all. Another floor and cabinet view! And it fits right in with recycling rather than throwing away, which we always think is a good idea. When we go to the play, we will be sure to get pictures of the cabinets in their starring role. In the meantime, the annual Gala is tomorrow night, so we will go enjoy that benefit of sponsorship!